Union Chapel is a Grade I listed architectural treasure that's home to a working church, an award-winning venue, a unique organ and The Margins Project for those homeless and in crisis in London. Burrell Foley Fischer has developed a masterplan for the conservation and ongoing development of the Chapel. There is now an exclusive opportunity to learn more about the next exciting phase of conservation and community activity at Union Chapel, transforming their Sunday School Hall. Sunday School Stories – a tale of dissent and social change, will take place in the Sunday School Hall on Thursday 14th June. There will be the opportunity to learn about plans to reveal the hidden history of Union Chapel’s Sunday School and create a beautiful space for contemporary community use. Sunday School Stories will uncover the social impact of the nonconformists, dissenters and early liberals who founded the Chapel. 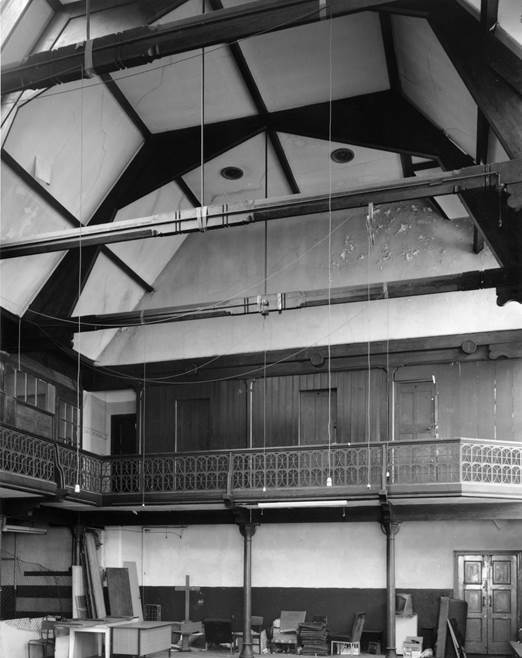 The programme of works will carry out urgent repairs to the Sunday School Hall and tell the story of a space used by pop stars, play schools and the homeless. The project will transform an underused space rarely open to the public. It will create an accessible, 200 capacity, community space for the arts, learning, heritage activities, ideas sharing and participative events. It will also create an important permanent home for the Chapel’s nonconformist collection so it can become a resource for study and research. To do this they need to raise £1.6 million by summer 2019. Create new, free and engaging programmes for community participation. Everybody is welcome to join them and be the first to hear all about the plans, what they need to do and how to become involved. Places are free but are strictly limited as it will be held in the Sunday School itself, so advance booking via their website is essential.